Today the dark clouds didn’t only literally hang over the Japanese grand prix, they hung low over all racers. 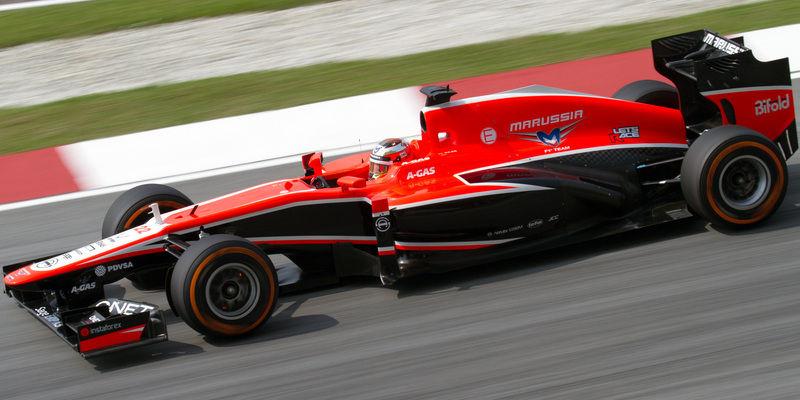 Originally when the ambulence was first sent out to the yard, the initial thoughts was that Sutil’s car in it’s hydro plane (aqua plane for those in europe) had hit a Marshell, but it became quickly apparent that Jules Bianchi’s car was still missing and in fact when the Marussia team had called over the radio for Bianchi, there was no response.The ambulence quickly recovered the driver who was unresponsive, and brought him to the medical station inside the track, the confusion was emmens and the outright lack of organization for such an incident was shocking! The FIA spokesperson had to force open the sliding doors to allow the team members into the medical building to even inquire upon Bianchi’s status. Very quickly following, we where informed by the FIA that Bianchi was taken to the nearest hospital via ambulance, despite the fact that the medical helicopter was ready and able to fly, in fact it had taken off moments following the ambulance. The 25 year old only started his F1 career last year, and has scored the only points for his team since their entry into F1 in 2010, (in Monaco this year). these points could place his team in 9th place in the constructors championship and is a major score for his place as an F1 driver. He has a bright career ahead of him, and i would love nothing more then to see him rise from the rubble of this incident and put the tires to the track and maybe next season take Hamilton out of first seat! Nothing would please me more, and my thoughts are with Bianchi’s family. Having walked into today’s race slightly late, i was quickly informed by the ever present ‘resident redbull’ that the race was under way into the second lap. It started out not only wet, but with a bit of drama with Ericcson spinning out behind the pace car. It was quickly red-flagged into the second lap because of track conditions, and weather being a general pain in the racer’s visibility. It was during this interlude Chris Horner of Red Bull was on with the sky sports people talking about the recent bomb shell of Vettle’s recent announcement of leaving redbull at the end of this season. While this bombshell came as a shock to myself (more so the resident redbull– who’ll have to either follow his driver to ‘f’ or keep with his team) what was more substantial in those few moments with sky sports was the interview. In the interview, they stated that earlier during the pre-race start up that Mr. Horner, (Whom i am ever more disliking this season) had said that they wouldn’t be talking much on racing orders, yet during the interview was asked if given the oppertunity would the team be telling vettel once again to move out of Riccardo’s way? As the race commenced once again, the race saw it’s first DNF of the day, with Alnso out due to loss of power in his car on the fourth corner, which was a shame because he held a great chance at podium today. After nine LONG laps into the race restart, the safety car was still out, but finally at the end of lap nine, was pulled back in and the standings where. Button was first to pit in lap ten, which brought about a chain reaction and a quick shifting of gears (forgive the unforgivable pun) in racing standings and the subsquent battles to come. The race quickly became the furious battle for redbull first with Vettal passing Botton, and then riccardo doing the same putting the standings at Rosberg, Hamilton, Button, Vettel, Riccardo. Lap 25 FIA opened DNS, and all the while Rosberg could be heard on team radio saying how his car held alot of overstear. In Lap 27, Hamilton once again goes wide into the first corner, and for the split seconds that he did so, made this watcher’s heart still as he was inches away from the gravel pit once more. (This incident was later admitted by Hamilton to have been a driver error, as he had left DNS open longer then he should have, and nearly wiped out due to it.) after a vicious battel with rosberg, Hamilton FINALLY passes rosberg. In the 30th lap vettel pits, and riccardo passes. in the same lap, Button missed a gear in the pits and delyed his exit from the pits, giving both redbull drivers the pass. In lap 34, Magnussen held a wicked spin out, but with skill that looked so easy a baby could do it, managing to pull her out of the full 360 spin, facing the correct positing and continuing the race with out so much as skipping a beat– which i am sure his heart didn’t have the chance to do. Lap 36, Riccardo manages to pass Hamilton, making the standings Riccardo, Hamilton, Rosberg, Vettle. The rain returned to haunt the drivers on lap 36, and DNS is once again disabled. Hamilton was first, rosberg second, and Vettle is third. Once again I am here to report on formula one racing! Consider yourself lucky as today i have comedown with a head cold, and was not going to post until tomorrow! Race two like race one begins us off with amoment of silence for the Malaysia 370, and the announcement of Sergio Perez for force India not competing in todays race due to fuel issues that this novice F1 watcher and reporter is not quite clear on. 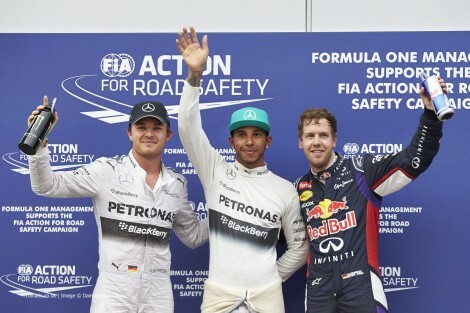 As the race got under way Lewis Hamilton held pole position and pulled away clear from what could have potentailly been another repeat of Kobiyashi and Masa in race one. Beautifully exicuted first turns by Both Redbull cars, and Rosberg. Rosberg held onto second position with Riccardo taking thrid and Vettel in a close forth. By turn three, Vettel and riccardo managed to switch places, bringing Alonso to fight with riccardo for fourth for most of the race until Hulkenberg came up from behinde to pull Alonso to sixth. The real story for this race is once again Daniel Riccardo, while out front for most of the race he pushed the car as much as he possibly could until a faitful pit stop that allowed him to release with a left front tire not put on properly, and one lap later the front wing failed entirely puncturing the right front tire. As well as prior to the situtation, the fuel sensor had failed completely according to reports live from Sky Sports 1. Not long after Riccardo DNF retiring from the race in sixteenth place with a ten second stop and go pnility for unsafe release. A couple incidences of contact in this race i have not been able to document due to my inexperience with F1 and the speed of the races (no pun intended). The next controversy of the race 2 of the season is Masa and Butas from williams while getting points for the team in 8th and 9th position at the end, Masa was given team orders to allow butas to pass, following the issues apparent from masa’s time with ferrari being told to move over for schumacher for most of his carreer. Masa had not listened to team orders, however williams is defending the results, but something tells me that there will be more going on behind the scenes. All in all a fun race to watch, and with all the close calls and six cars DNF’s again, I wonder why I am being drawn into the sport like a moth to a bug zapper. I would like to apologize about my previous post dealing with the Australian grand prix. The rankings I posted on here appear to be wrong! 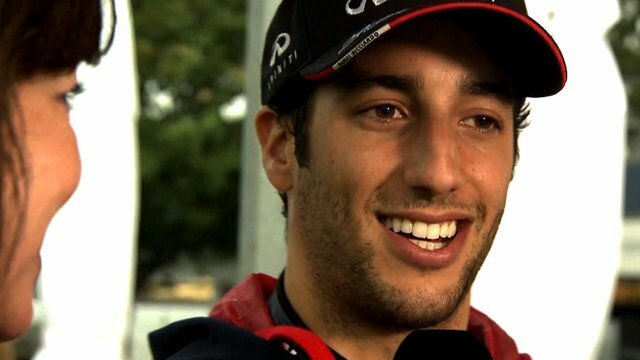 The bbc first reported that Daniel Riccardo was disqualified from the race due to his car no meeting regulations when the fuel sensor read that he consistently used more than 100/kg per hour of fuel. The 2nd place podium standing would have been a first for riccardo in his career and since signing up with team redbull. The Australian racer and his team are putting in an appeal stating that the sensors have cause problems since they where installed. “We where asked to put the one we used on Friday back on the car and apply an offset.” Horner told the media. The sport has introduced a whole whack of new regulations including less motors allowed for the whole season and fuel consumption limits. The me,t-down of my resident redbull is due to the sensor malfunction being the fault of the FIA and the appeal should be allowed to go through! As I said in my last post, I don’t know enough about F1 to forum my own opinion however I do find it strange that they could not see the fuel consumption levels where consistently going above the allowed amounts considering all if the live feed computers apparently in the car during the actual race and make a ruling during the two hours the cars where on the track. Can I ask what the heck is up with these new noses? They look like someone has found a naughty toy and is playing a practical joke on everyone…. 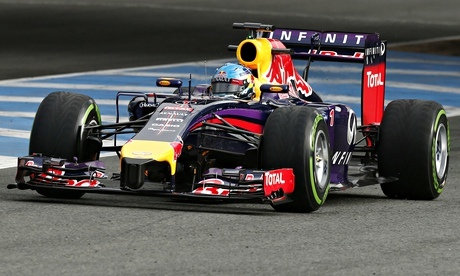 of course this car isn’t as bad as the redbull sister team torro-rosso…. I mean seriously! I’ll up date everyone on the “raging redbull” when my raging bull either tosses his phone into a wall or suddenly breaks out in dance! Hello word press, trisha here. Today id like to take a moment to talk to everyone about a syndrome that effects about half of bloggers who begin a blog online. I am one of those who frequently suffer from this sometimes out right horrendous online bug. Its called infrequent blogging syndrome. I.b.s for short. Not to be confused with fbs, where the sufferers cannot seem to help but post on a regular schedule, ibs sufferers find themselves often times unable to post anything for months at a time. In some cases years. This is a very serious condition that often results in the loss of reads, and followers, while increasing the risk of spam and link droppers. I am here to beg everyone who doesnt suffer with this to please bare with those of us who do, we dont mean to disapoear as if we never existed, we still love each and every one of our readers and we hope during our times of responsiveness that our posts do infact entertain you and maybe your friends. There is a chance that you know of or follow an ibs sufferer and on behalf of all of us, thankyou for your time today. This has been a public service announcement for I.b.s. Welcome back to the pyschotic journey. I hope you enjoyed my excuse for internet silence. I am sorry pressers that I disappeared, and I know this happens a lot. All I can say is I’ll try my best to get some new content rolling along. 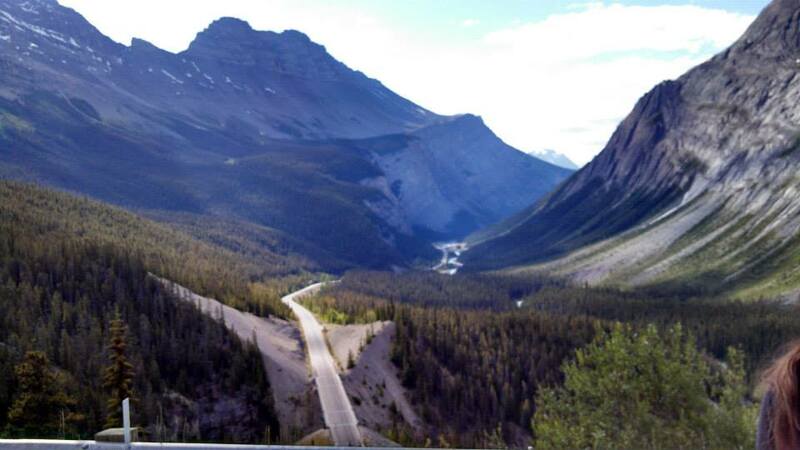 Like in the next few days ill hopefully have the journey of this author discovering insragram for the first time, and my confusion dealing with pintrest. Maybe even the adventures that is college for criminal justice thus far. Some good stuff on the way, so please follow along with my psychotic journey and maybe your will feel a little less alone. ~posted using the wordpress app. 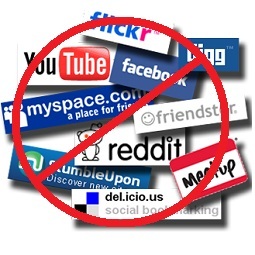 So without anymore flourish, Here is my top 5 reasons for DISLIKING SOCIAL MEDIA! In the social media boxing ring, there is a very fine line between being obnoxious and invisible- so fine a line that often it gets lost in the shuffle. No one Tells you Hey, stop spamming my wall with useless quotes from homer (no not Simpson) Or Hey I don`t see you in the mash up of status/tweet ect. maybe you should post more? Oh-no, they don’t tell you, they’d rather post a Tweet/status-ect. about how obnoxious/invisible you are– and expect you to find it in among the rest of the Tweets/Status ect. 4-OH YOU LIKED OUR OLD SYSTEM– TOO BAD TAKE THIS ONE! In the world of technology you have to either be cutting edge– up-to-date or be left in the dust. This has users who aren’t as tech savvy as the rest of the cyber world scratching there heads going– well what the flick? Social Media platforms update they’re layout or user interfaces so much it brings to mind the Image of a quick change artist: Interesting to watch from the outside, not so much fun when your forced to adapt to the artist. Why does this sound like a good thing? Well because people don’t realize that by following twitter/facebook for people you don’t know and hanging on every move they make or post is borderline stalking. Yet one moment you can have an increase of 50 followers one morning then the next day– you have -150 followers. There is no rhyme or reason as to why people stop following people: Maybe it’s because of number 5 on this list, or maybe it’s just because the general population as a greater whole has the attention span of a flea.